The Master Bath has been begging for a renovation since the day we moved in this house 4 years ago! 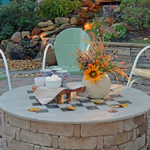 We put it off in order to focus on other renovations like the huge back yard project and a hundred other updates throughout the house. But we finally did it and we’re so happy we did! Actually, we didn’t do it, we contracted out the work (which is not like us!). But Mike was busy at work at the time and just couldn’t take on a complete renovation and without Mike, there’s no way I could do it! Let’s start at the beginning with the inspiration board I put together. 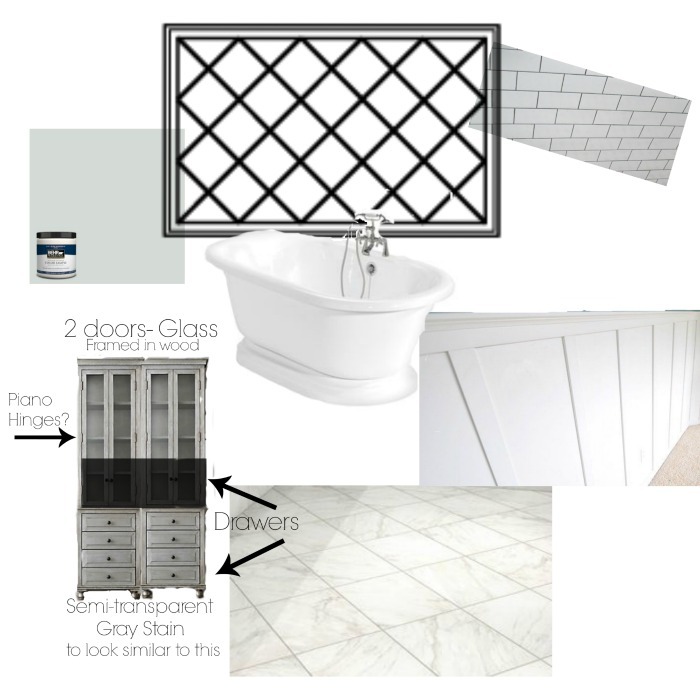 The inspiration board was easy since I’ve been pinning to All Things Bathrooms for years. 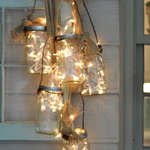 Pinning images, even if they’re outside of my budget, helps me to narrow down what I love. 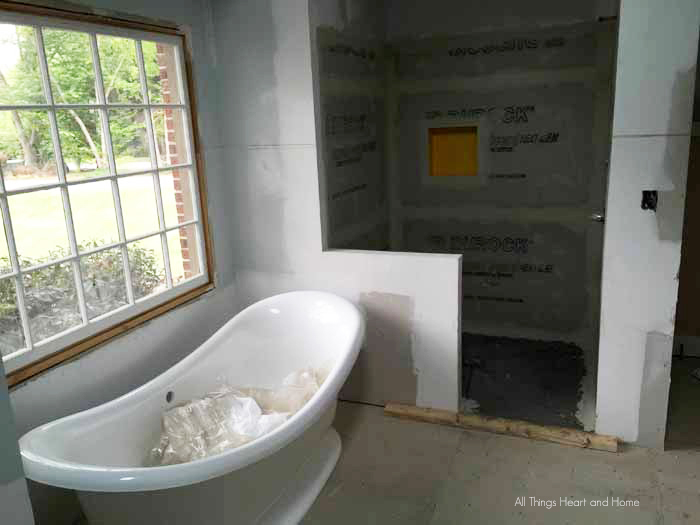 The water closet used to be in this little room – which we actually made bigger for the new shower. Mike was right. The roomy shower is a decision we don’t regret. Adding a bench was another good decision, it’s really helpful when you shave your legs! 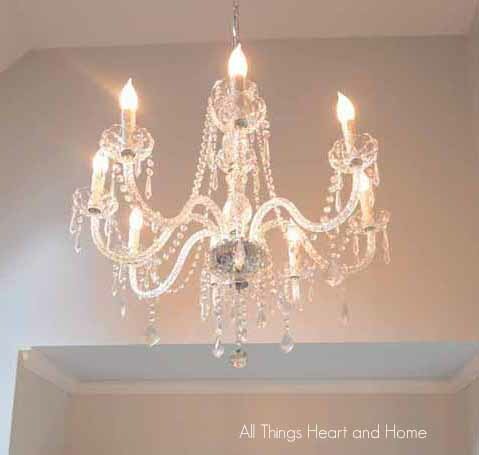 Not only does the chandelier over the tub give off a fantastic amount of light when you need it for getting ready, we have it on a dimmer and it casts lovely shadows when the sun goes down. And what about this window!? Mike and I were trying to add a little character to the front of our house with this Tudor-inspired, diamond grid window. We had no idea how much we would love it in the space! I’m also really happy with the board and batten on the walls. Since our ceilings are pretty high, I decided to go higher than the average chair rail. We used brush nickel as a finish for the faucets in the shower and for the sconces. 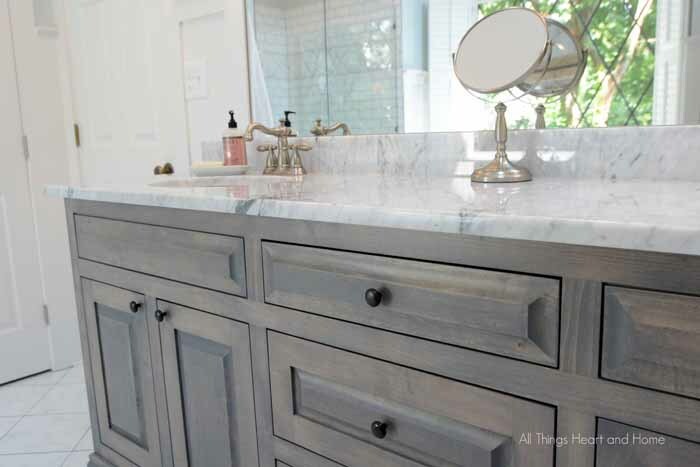 Although we like brushed nickel, the main reason we used it, is because we were reusing the sink faucets from the old bathroom (to save a little money) and they were brushed nickel! Putting the plugs inside of 2 of the drawers is one of my favorite things in the finished bathroom! 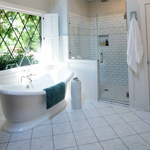 A Master Bathroom renovation is a little like renovating your kitchen, there’s a lot of upheaval and it takes a long time…but in the end it’s absolutely worth it. 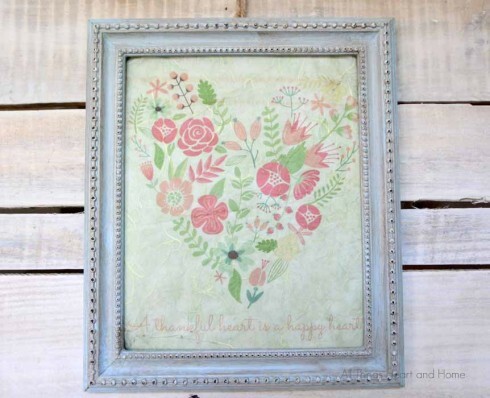 Would you like a little love & maybe even some inspiration delivered right to your in-box? It’s BEAUTIFUL!!!! 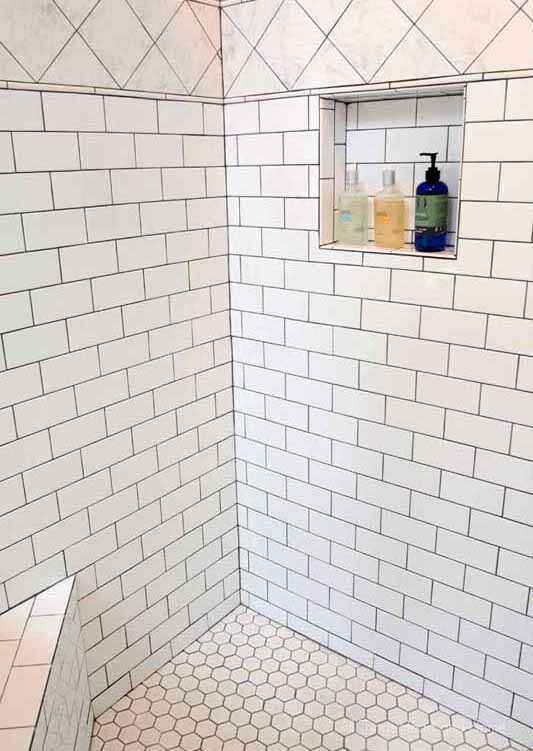 I love the tile in the shower and the RH Inspired cabinetry. Well done, my friend. Well done! Robin, it is STUNNING! You did a beautiful job on the details. LOVE! Absolutely gorgeous!!!!! Everything about it!!!! It’s gorgeous! I know you’re loving it! Stunning. I love everything. Great choices. That tub is a dream for sure and I love your vanity style and color. Absolutely beautiful I love it! Robin…wow! I kept thinking, “that’s my favorite, no THAT’S my favorite!” Beautiful! I also love the plug-in in the drawer for the blow dryer! I’ve looked into it before, and some people on the net seemed worried that it would stress the wires with the frequent movement of the drawer. How are you finding that working? Can you explain a little about how it’s connected ‘behind the scenes’? I really wanted that feature, but was worried about safety. All of your work paid off. What a beautiful cohesive look. Absolutely stunning! 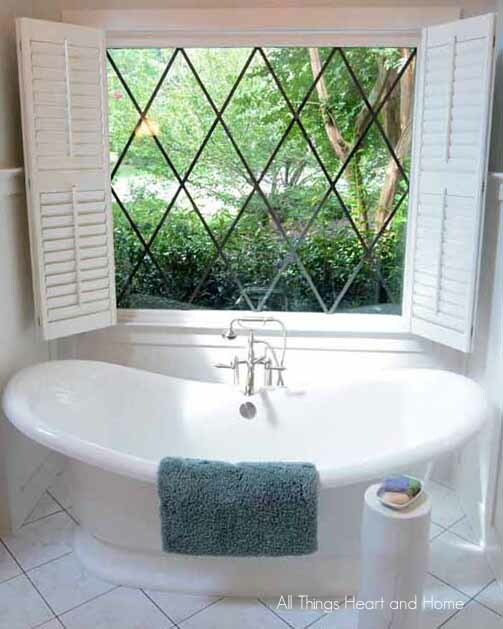 So many favorites…the shower, tub, window, chandys, etc. I know you must love it now! 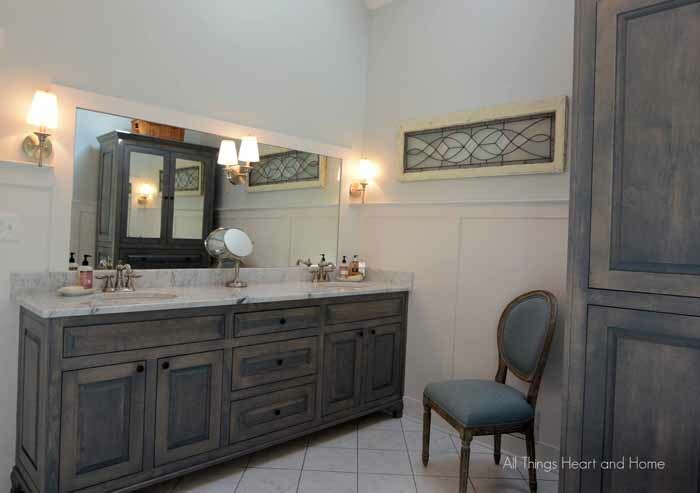 I LOVE everything about your Bathroom remodel….. it’ beautiful. Robin, I love it all! I want so badly to rip our our huge unused garden tub and put in a free standing one like you did. I also want the shower ripped out and made a bit larger. Love everything you chose. Beautiful! What is the paint color? I just love how it is bright but soft. Jen,thank you! It’s Behr Pensive Sky! Its a beautiful blue! Thanks Robin- it looks great! I do so agree, the upheaval is tremendous but it is all so worth it in the end. Your remodel is an absolute triumph, the bathroom looks truly stunning, I adore the shape of the bath, the cupboards are gorgeous and the chandelier is just to die for! I think I would just stand in this room and admire it for hours on end …..
It’s perfect. Stunning. It’s YOU! I love, love, love, love it!!!!!! Oh I could soak for hours in that tub alone- the window, the view, the calmness I sense- stunning and welcoming all at once! You guys really did such a beautiful, BEAUTIFUL job!!!!! Shannon, Oh thank you sweet friend ox (so glad you understand the TV)! Robin, your bathroom is beautiful! We are trying to get a contractor to come and give us some numbers to redo ours so I love seeing the things you’ve done! I love your choices. Love this bathroom! It’s beautiful. That’s a fantastic bathroom!! 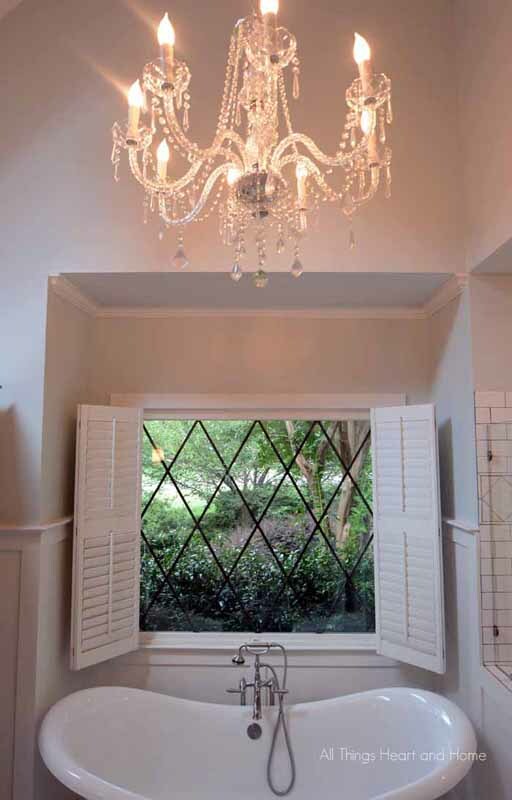 I’ve always loved those diamond designed windows. And what a beautiful chandelier!! 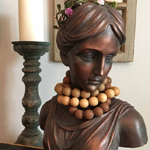 Robin, this is simply stunning and I’d love to share on our weekend features post next Sunday with a link and credit back to you. We tweet, pin, and share all of our features and I can let you know when the post goes live if’ you’d like to share it as well. Robin… your bath is extraordinary! I love every single detail. Isn’t it so worth the wait when everything comes together so beautifully? All the cabinetry is perfection. 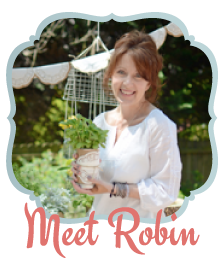 Oh my goodness, Robin- so much to love! 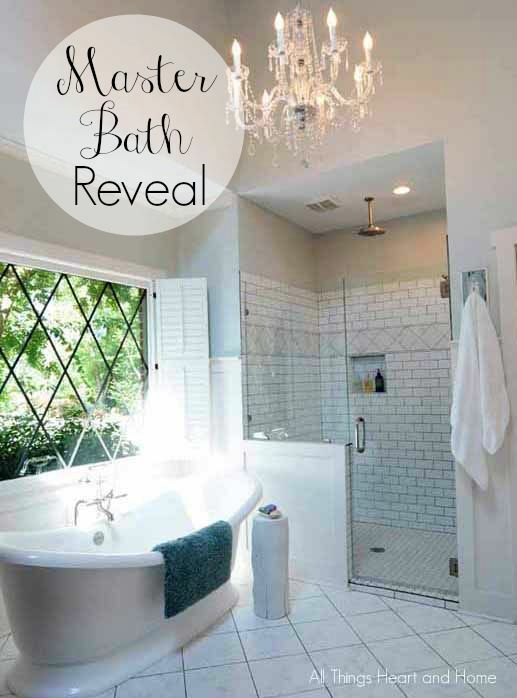 The bathtub-cabinets and that chandelier…GORGEOUS! So fresh-so lovely! A definite PIN! Holy gorgeousness! I can’t even pick a favorite detail because I love it all. Fabulous job! Seriously goregous! Love love the chandelier! Your new bathroom is gorgeous. I just want to say your bathroom made my heart skip a beat!!! It is absolutely stunning and I love all of your choices! 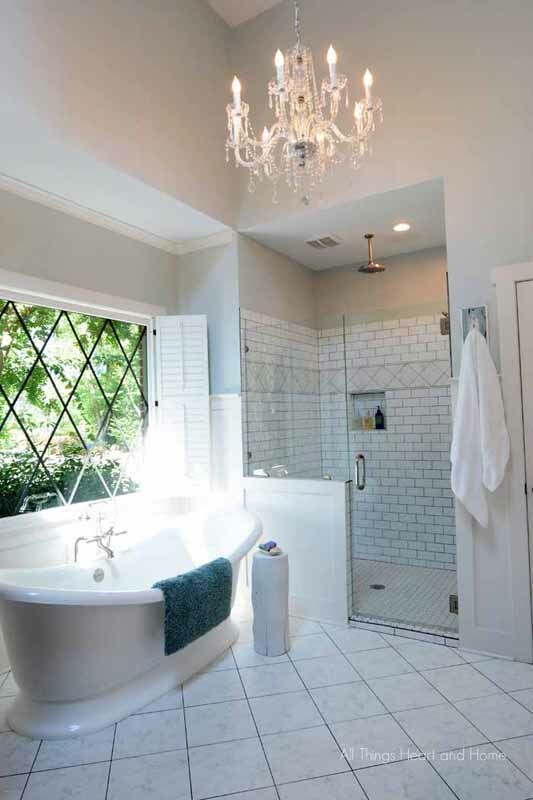 That window, those lights, that tub …… drooling! I would like to invite you to share this project as well as your other work at my furniture get together this evening beginning at 6:00pm (MST). I think you do amazing things here on your blog! Wow! You have created a very gorgeous space! Thank you for taking the time to come over and share it with us at the Brag About It Link party! Wow, Robin! Your new bathroom is stunning! I’ll be featuring it at The Scoop this Monday night. Thank you for linking up! Ohhh my goodness!!! This is SO GORGEOUS! Thank you so much for sharing it, Robin! I’ll be featuring you Thursday for the Your Turn To Shine link party. 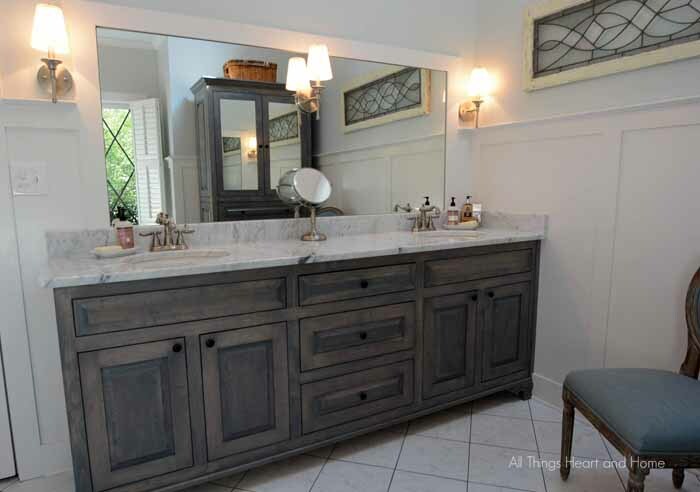 Your bathroom is absolutely beautiful, Robin! 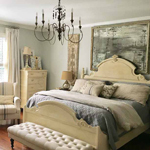 I especially love the lighting and the gorgeous grey finish on the furniture. Absolutely stunning, Robin! That big window is beautiful!! Gorgeous tub, too 🙂 Thanks SO much for sharing at Your Turn To Shine! HOpe you stop by again tomorrow! i have never seen a bathroom so gorgeous!!! 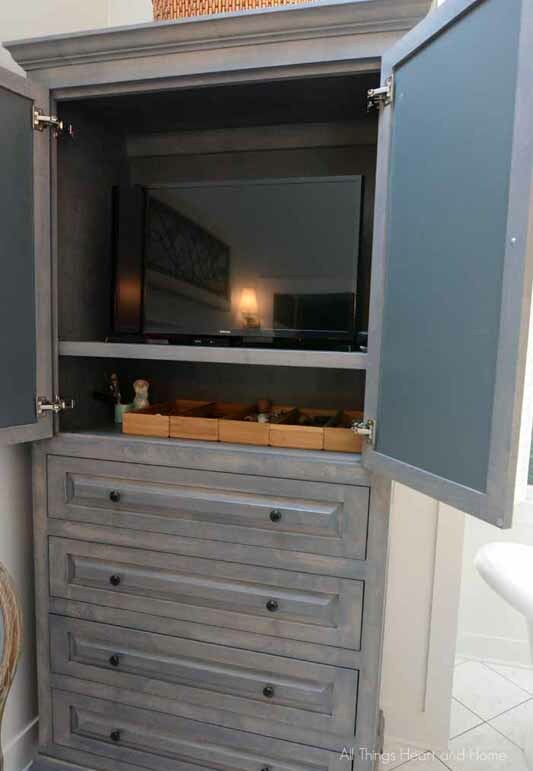 Every detail is incredible down to the outlets in the drawers. You thought of everything! 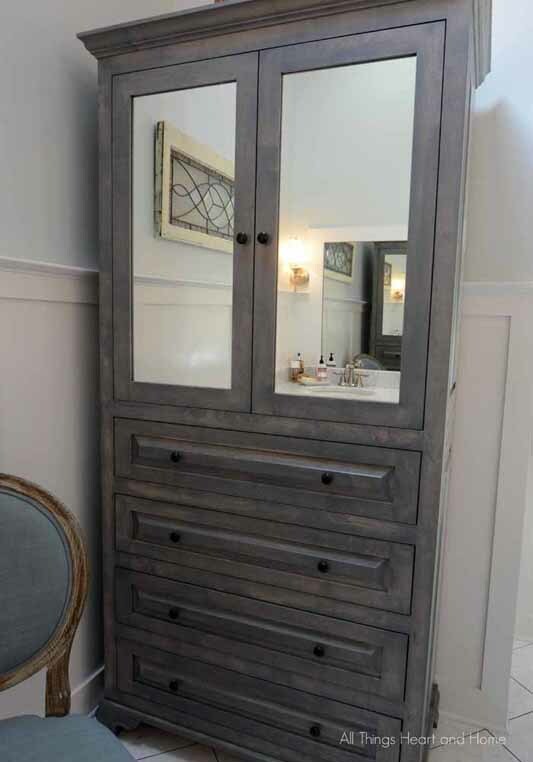 Found you on Hometalk and fell in love with your bathroom!!! I could just take the whole thing, just as it is and transplant it to my house!!! Totally in LOVE!!! 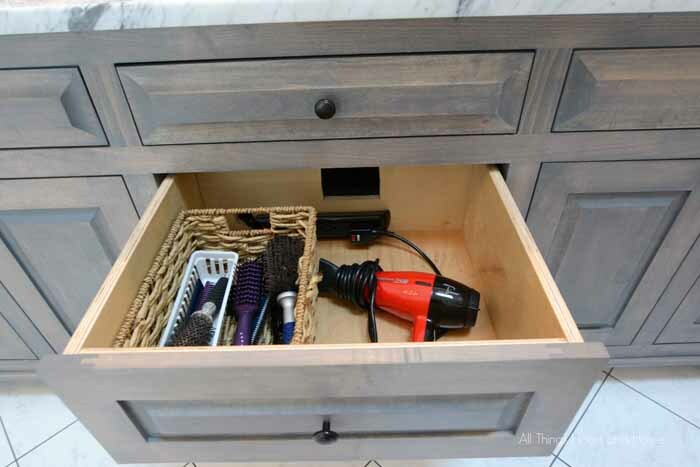 You did a fabulous job on every little detail…especially the plug-ins in the drawers!!! Amazing!!! Beautiful!! 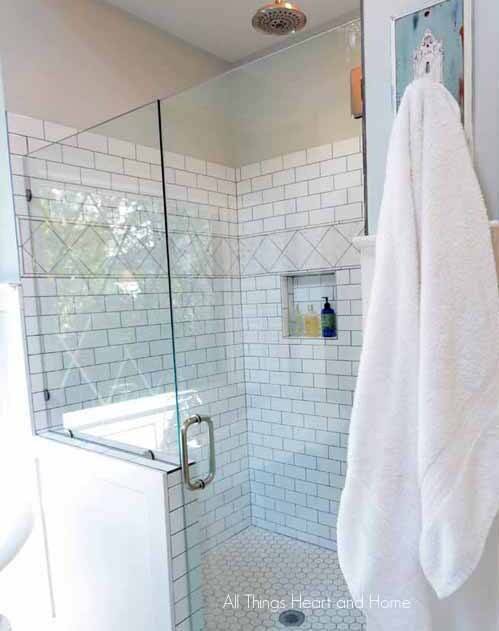 I love the window and the soaker tub along with the white subway tiles in the shower! You did a great job! Love it! You are amazing! God has given you such a beautiful eye for detail. 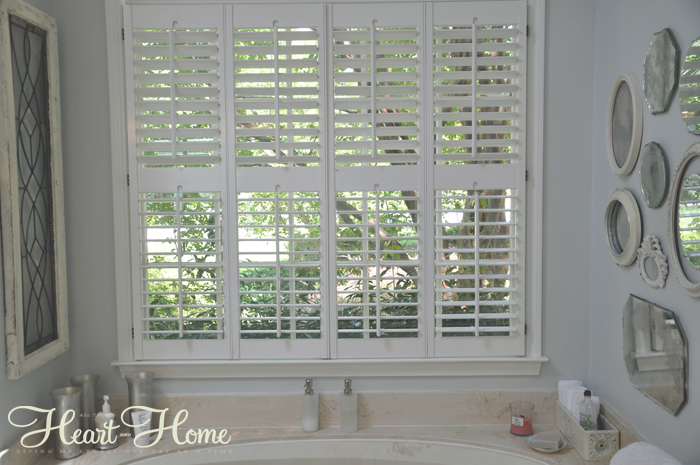 Thank you for sharing and giving us a peek into your home. May God continue to bless your family and home. Hi! 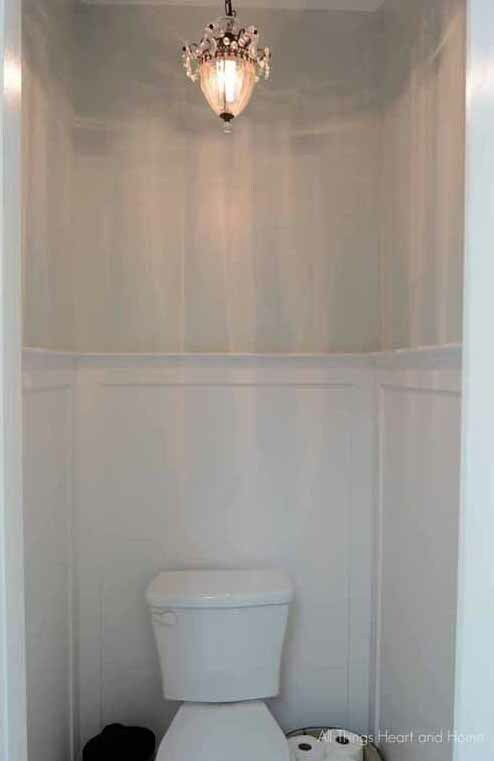 JUst found your website, lovely job on the bathroom! Where did you find your chandelier? We are looking for something similar!